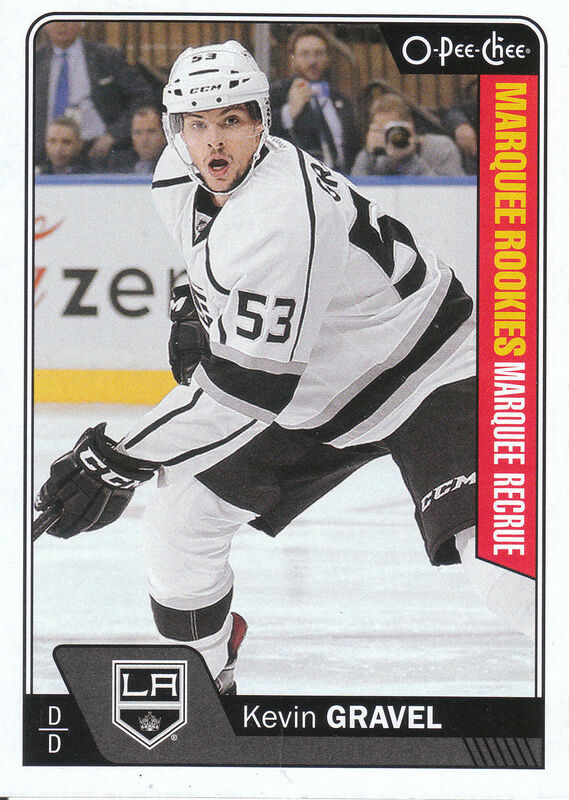 LA Kings defenseman Kevin Gravel will be signing free autographs at a Staples store in Studio City on Friday, March 3rd. Furthermore, another Kings player is expected to to join Gravel. Their former goalie Peter Budaj was previously scheduled to attend but was traded earlier this week to Tampa Bay. Time of signing still to be determined. Go here for information. *Appearance Will Last 60 Minutes. One Autographed Item And One Photo Per Person. No Exceptions, Please. Please Note That We Can Typically Accommodate 150 Fans During A 60 Minute Appearance. The First 150 Fans In Line Will Be Wristbanded. We Will Make Every Effort To Accommodate More Fans If Time Permits, But Please Be Advised That Only Fans With Wristbands Are Guaranteed Autographs. 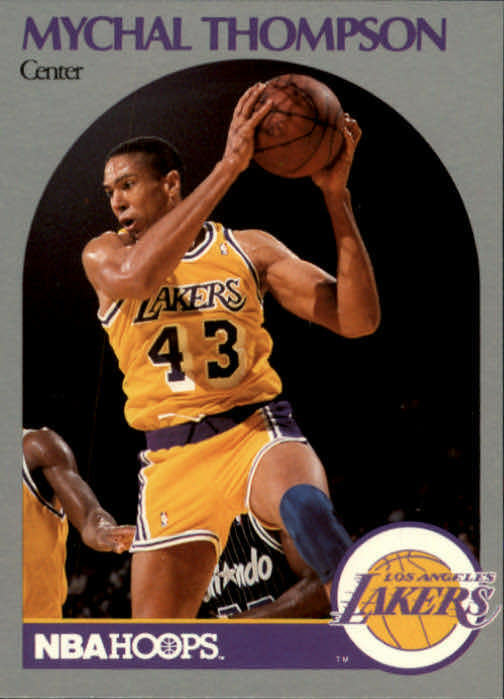 Former Lakers center Mychal Thompson will be signing free autographs at Microsoft Square (directly Across from STAPLES Center) prior to the start of that evenings Laker game on Friday, March 3rd from 5:30 PM to 6:45 PM. Go here for more information. BTW, the Laker Girls will also be there. 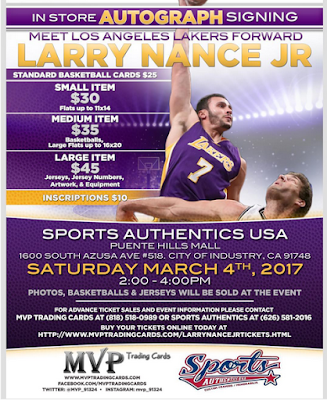 Lakers forward Larry Nance Jr. will be signing autographs at the Sports Authentics USA store at the Puente Hills Mall in Rowland Heights on Saturday, March 4th from 2:00 PM to 4:00 PM. Go here or here for information. This is a pay event.